Do you have the habit to notice ends of thread on your way? - On Rivoli Street (an important street in Paris, near the Museum of Louvre), the new store showcase decor displays Running Stitch. There is Running Stitch all over the place, almost the main element of the decor, stitched on thick pieces of cotton. - In the subway, there are big advertisement posters. 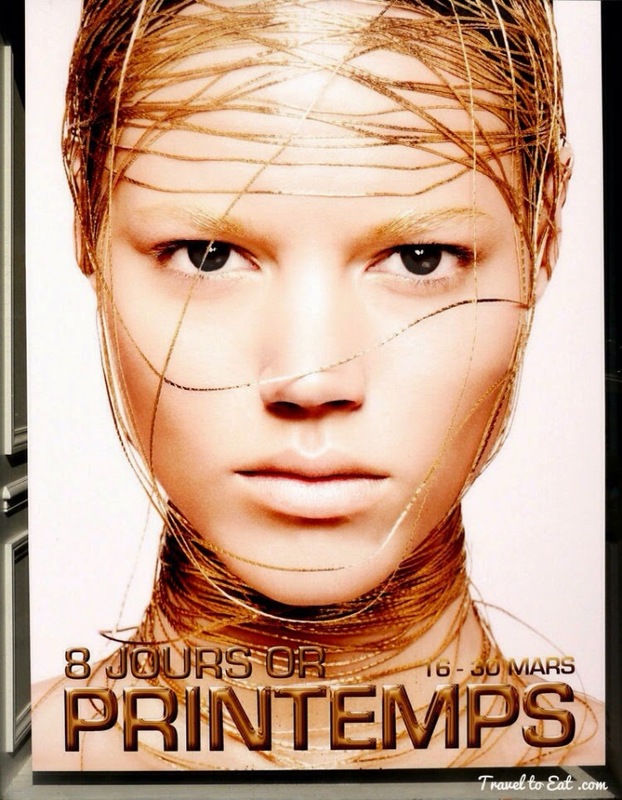 The store Printemps (Spring) displays a mannequin clothed with gold wire, a thin glittering golden string. The same kind of thread/wire that I usually employ for my Gold Work. - My last example, along the Seine’s docks is held the exhibition Photoquai (DockPhotos). Over 50 photos from 32 countries illustrate the day to day life in different locations. There are pictures of industrial pollution; a village massively hit by AIDS; modern commodities used by traditional nomadic tribes, etc. Some photos are poetic, others are whistle blowers, but all of them show off the mutation of life styles. Those photos look like European typical urban scenes but none of them have been taken in Europe. 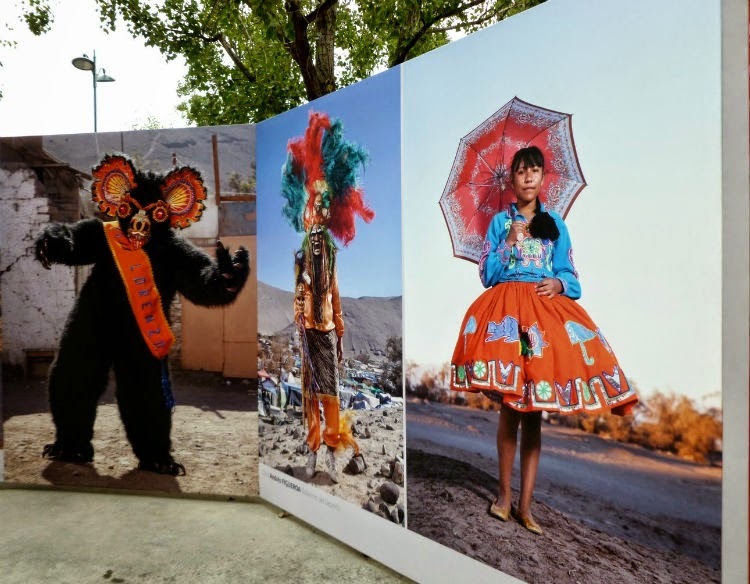 Here too I notice embroidery, the photos from Chili exhibit traditional costumes worn at festivals. You see, embroidery is simply all over the World. I DO notice these types of things everywhere Lucie! Also see patterns that I would like to replicate in blackwork etc. There is inspiration everywhere, isn't there? I think it's a hazard of our hobby. We start seeing it everywhere and think about it all the time.